A few feet from the entrance to Airoom’s newly renovated 30,000 square foot design showroom in Lincolnwood, fresh micro-greens and herbs are growing inside an illuminated appliance called a hydroponic cultivator. This machine is part of a sleek, state-of-the-art “smart” kitchen, where home cooks can do more than just prepare delicious gourmet meals. They can also farm their own vegetables…indoors. The display is one of several inside Airoom’s new Live Center, featuring interactive hands-on demonstrations of the newest, most technologically advanced kitchen and home appliances on the market. Over the course of six decades, Airoom has completed more than 16,000 home building and remodeling projects in hundreds of communities throughout Greater Chicago. Through its unique “Design-Build” service, Airoom takes ownership of every detail of a project, minimizing customer hassle and expense. Airoom even helps customers obtain financing for their home improvement projects through its sister company, Lamb Financial, a licensed mortgage broker. Using its exclusive S.T.A.R.T. process, short for the System to Assure Resources and Timing, Airoom integrates design, construction, timing, budget, logistics, and accountability to successfully deliver a completed project. In 2017 alone, Airoom completed over 300 Design & Build remodeling projects and custom homes. This high volume, says Klein, enables Airoom to employ and control the majority of its tradespeople, including plumbers, carpenters and electricians, on an exclusive basis. Vetting and managing high-quality craftsmen, says Klein, enables Airoom to support every project with a service department and warranty system. The industry standard on home building and remodeling warranties is one year or less, but Airoom offers its customers an unparalleled fifteen-year structural warranty and 10-year installation warranty on all completed projects. The company publishes a book of glowing recommendation letters written by thousands of satisfied customers from Antioch all the way to Woodstock. Airoom considers itself a warrior for its customers. Having faced just about every possible challenge in nearly every Greater Chicago community, Airoom is uniquely skilled at renovating historic North Shore homes. Before an Airoom Project Development Manager even arrives for an initial consultation, he or she will have researched a neighborhood and studied the appropriate zoning regulations. 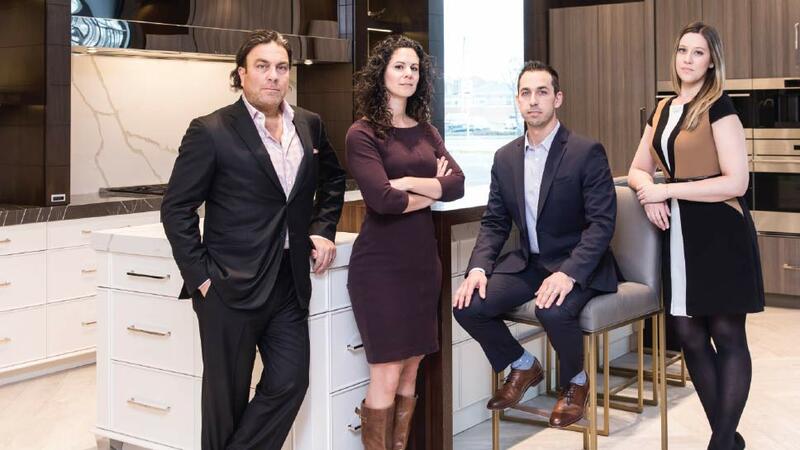 And whether homeowners want to cultivate their microgreens, or simply update a tired kitchen, Klein and his crew aim to give every client the house of their dreams. For more information, visit airoom.com.